The most striking change to downtown Dallas’ 1950s-era 1217 Main Street building, home to The Commissary, is plainly visible — its exterior. 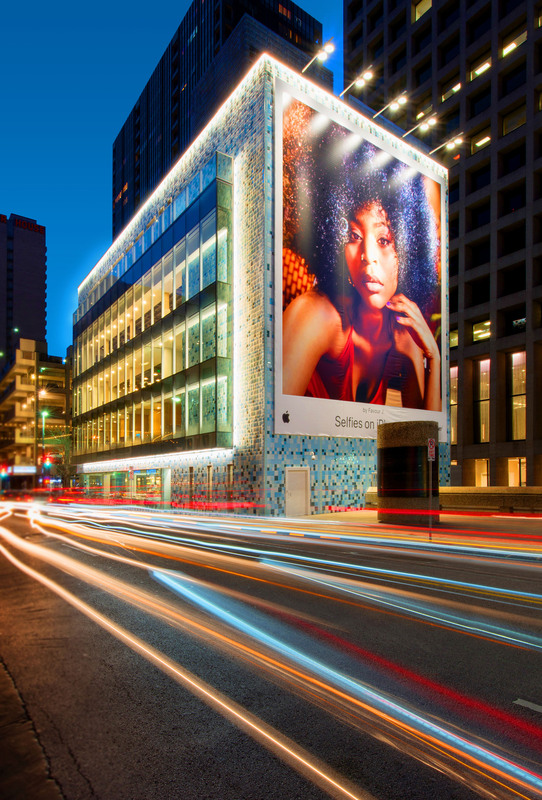 Headington Cos. commissioned Cuban-born artist Jorge Pardo to conceptualize the ceramic tile mosaic, with a rain screen facade system made from 36,215 glazed ceramic tiles. The remodeled building, once home to a bank, opened in December 2017. 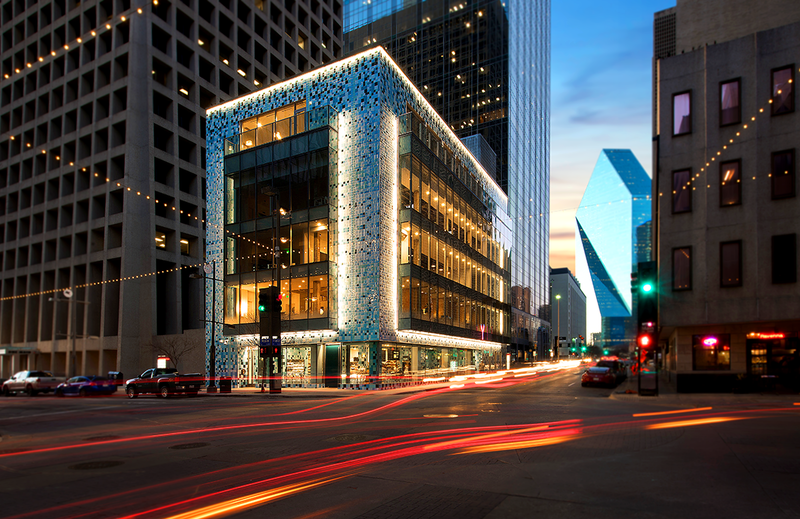 Headington Cos. and Pardo challenged the team to design, engineer, and construct a ceramic tile facade with no visible control and expansion joints, panel or module seams, or shadow lines. Artistic intent required the building to read as a single plane of tile. The use of ceramic on the exterior of any building is a challenge because, unlike porcelain, a ceramic-bodied tile absorbs water; when the ceramic expands and contracts from temperature changes, the tile will sprawl. 5G Studio worked with the contractor and fabricator to develop a custom triple-fired, polymer-modified ceramic bisque that, when tested, achieved a water absorption percentage that classifies it as impervious — the same classification as porcelain. The expansion and contraction of each tile is isolated by being hand-set onto a dedicated aluminum dead-load angle that is a part of a larger aluminum rain screen system. Contributed by Ezra Loh, Assoc. AIA, with Droese Raney Architecture in collaboration with Paul Merrill, AIA.